When D-Beatstro opened their café on Bloor St. W. after a successful crowdfunding campaign, they didn’t anticipate tens of thousands of dollars in permit and renovation fees. Most building closures in downtown Toronto are because of the skyrocketing rent. But D-Beatstro was very successful, with a large menu and regular events such as Toronto Indie Horror Fest and Not Dead Yet, the annual punk show showcasing local talent. So paying the rent wasn’t a problem, but all the fees that came along with changing the building were. “We didn’t realize this when we moved in, but no one had taken out building permits since 1975,” said Jess Montebello, who co-owns the business with Chris Cammarata. Street view of D-Beatstro (Photo via blogTO). This meant that they were responsible for all changes made to the building over the past 42 years. Some of the changes planned were making the building fully wheelchair accessible, and altering the equipment in the kitchens. However, instead of having a long and expensive process to put the changes into place, the owners decided to celebrate D-Beatstro with one last event called Forever Fest. For Cammarata, one of the most difficult parts of closing the business is losing the amazing staff. “The hardest part of closing will be not being able to come in and work with our friends every day,” he said. Since its opening, D-Beatstro hosted many types of events, from film festivals to all-ages punk shows, and even sold paintings by local artists on the walls. And with hundreds of people showing up over the three-day Forever Fest on Family Day weekend, it was evident that many people are sad to see the business go. “I feel sad and weird, but ultimately I feel good about moving forward,” said Montebello. 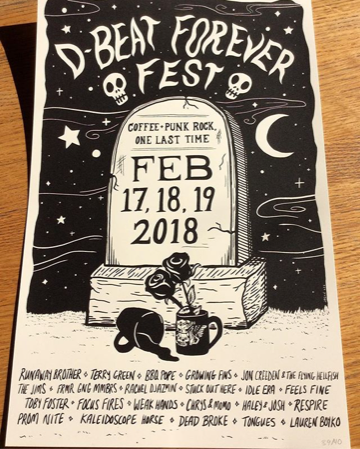 For those unable to make Forever Fest but still want to check out the venue, D-Beatstro is having a sale on Saturday, Feb. 24 from 11 a.m. to 4 p.m, where everything in the building must go. 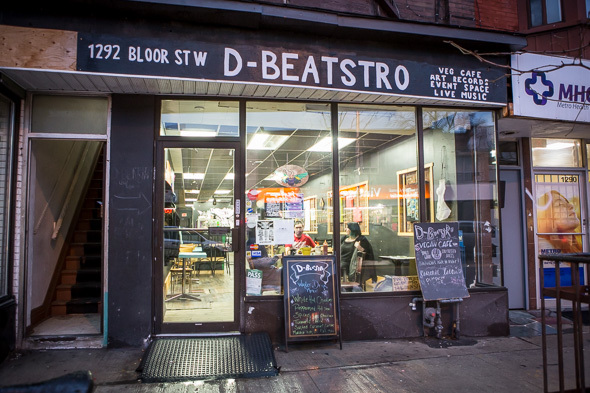 D-Beatstro is located at 1292 Bloor St. W.